Christopher Robin is now available on DVD and there is no better way to celebrate this charming movie then with a spot of tea and talk of bees. 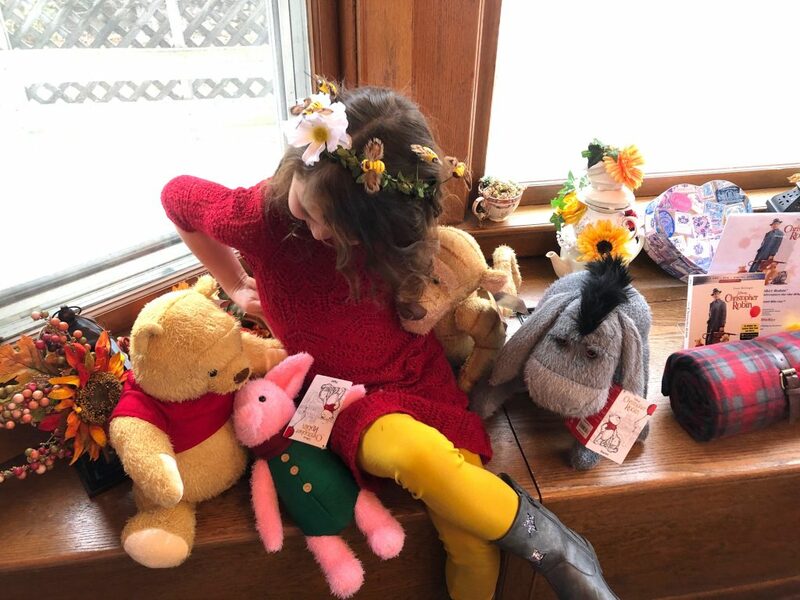 Little Miss S and I were recently invited to a special Winnie the Pooh tea at Tonia’s Victorian Rose Tea Room in Rochester, MI and it was absolutely delightful. 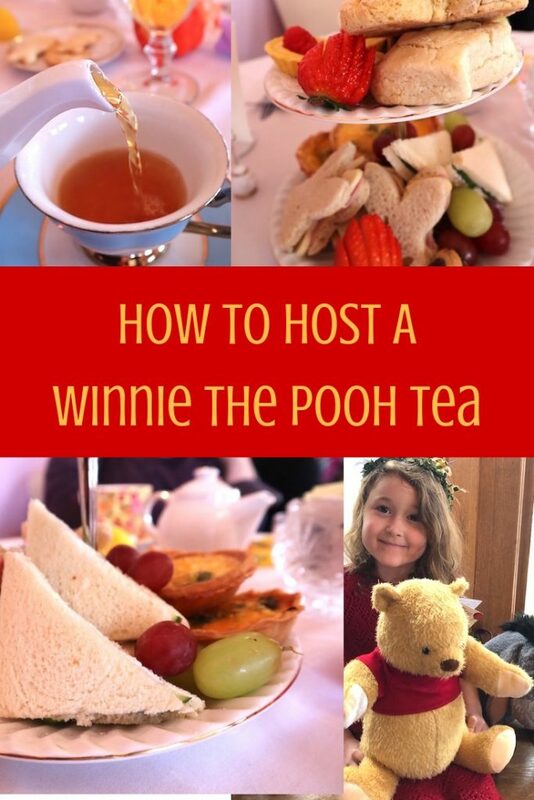 If you are looking for a fun and unique way to celebrate Pooh follow the tips and ideas below to host your own fun tea party at home. DVD with captivating, behind-the-scenes extras. The fun-filled tale features A.A. Milne’s timeless characters from the Hundred Acre Wood — Pooh, Tigger, Piglet, Eeyore, Kanga, Roo, Rabbit and Owl — making their first appearance as three-dimensional characters who remind Christopher Robin, and viewers of all ages, to appreciate the simple pleasures in life. Our kids grew up watching Winnie the Pooh and those characters are still quoted in our house to this day. Honestly, whats not to love about Winnie the Pooh and his Hundred Acre Wood friends? 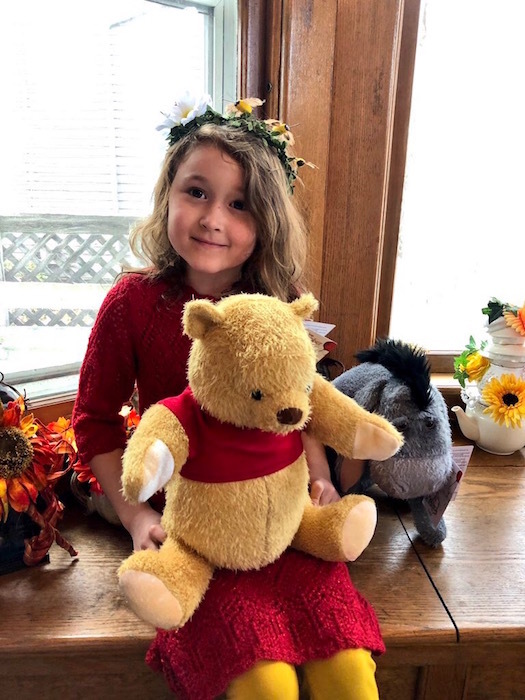 Pick up a movie and host a fun party celebrating all that is Pooh. Be sure to play the movie or the movie soundtrack in the background to set the mood of the party. Christopher Robin is now available wherever DVDs are sold. 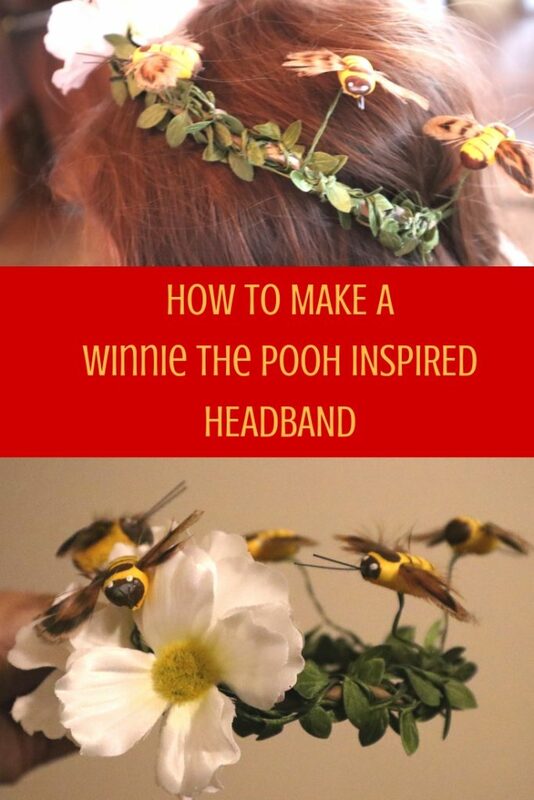 Ask guests to wear a Winnie the Pooh/Christopher Robin inspired outfit (aka Disney Bounding). Miss S wore a Pooh inspired outfit and I was Disney Bounding an Eeyore look. It was simple enough. 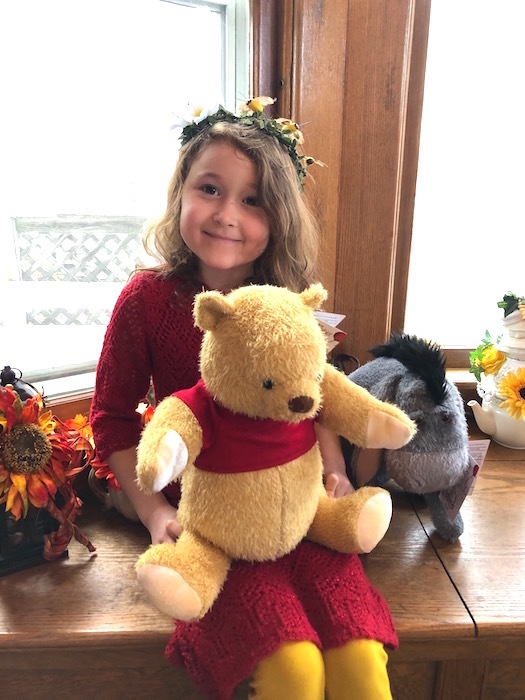 A cute red dress with yellow gold leggings for Miss S plus a hair wreath of bees (more on that below). 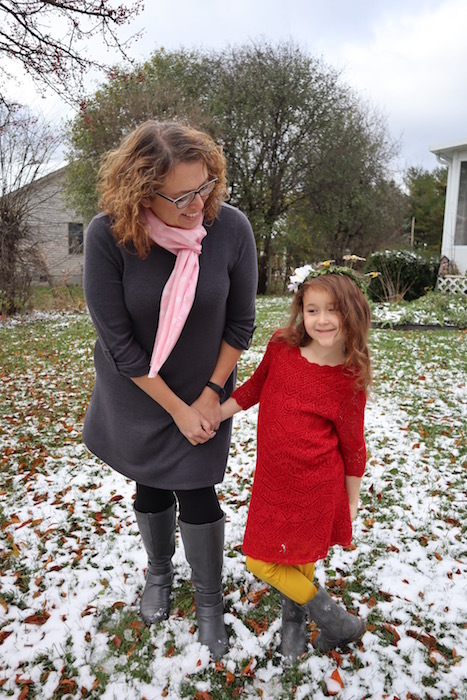 For me, a grey dress with a pink scarf. Easy. Peasy. 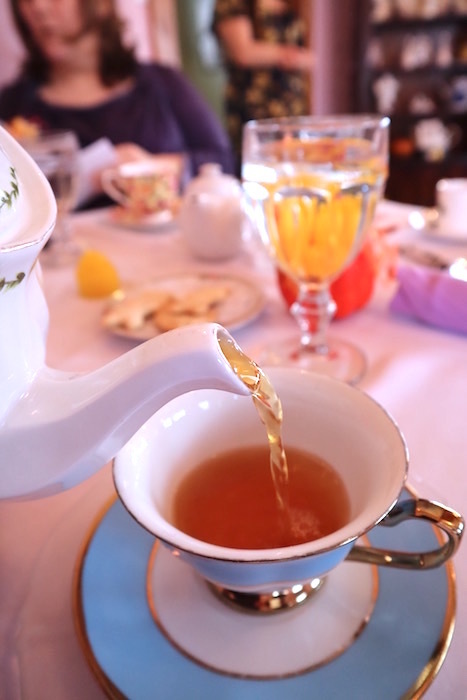 If you don’t have teacups and teapots they can usually be purchased at a thrift store for fairly cheap. Little girls and adults alike love drinking out of pretty cups. The tea can be served warm or cold. We had hot tea at our party. Miss S LOVED the black tea, but herbal tea was also served. 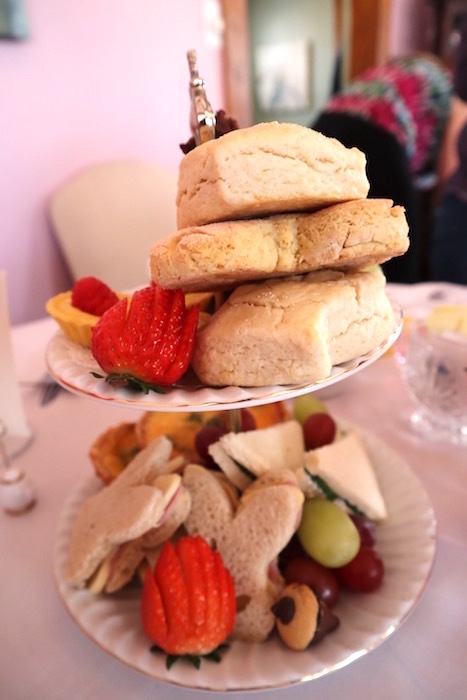 You can also provide punch or another beverage for non-tea drinkers. A menu can be as simple or as elaborate as you’d like. 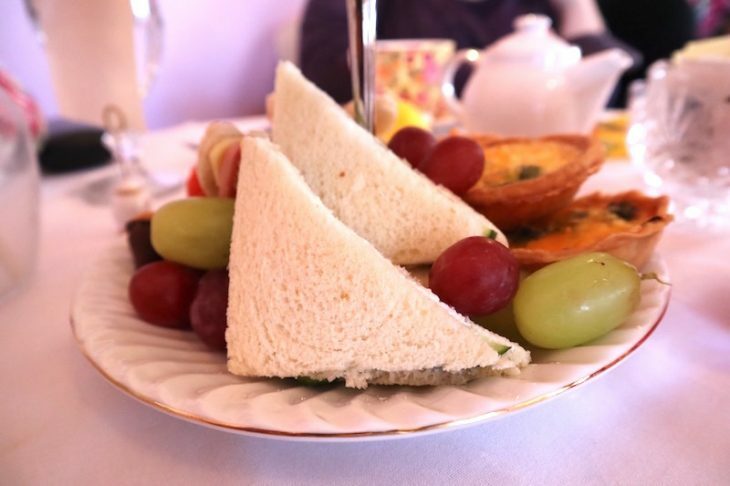 However, it’s important to remember that teas are generally a snack and not a meal so keeping the food light is perfectly ok. This is so simple, yet incredibly adorable!!! Miss S received so many compliments on her hair wreath. This is the crowning jewel of a Winnie the Pooh inspired outfit. 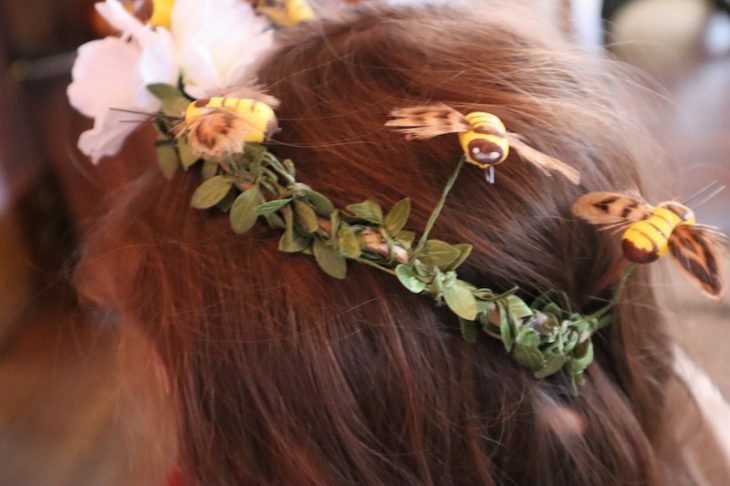 Bees–usually found in the floral arranging department of craft stores. I found ours near the fairy garden items. Using the wired twine create a circle that fits the crown of the head. If you’re not sure on size do not secure the two ends together. That way it can be adjusted accordingly. Wrap the ivy garland around the twine. Add the flowers and the bees to the top of the circle. Secure in place with hot glue. Be prepared to accept multiple compliments. If you want to take the outfit a step further follow the DIY to create this adorable Hunny Pot purse.